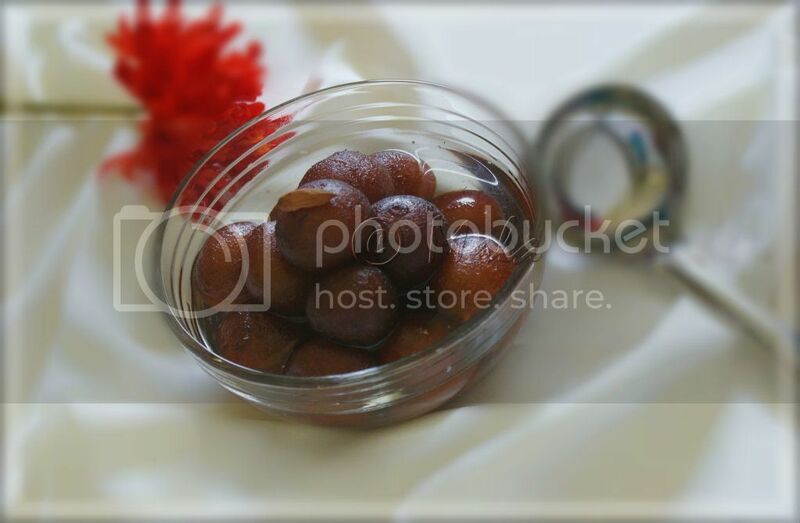 Gulab Jamun made at home without store bought mix. Made it just like that, not for any special occasion, came out very tasty. In a large pan, dissolve the sugar and water and bring to a boil. Mix the milk powder, all purpose flour, baking soda, badam / almond powder in a bowl add enough milk to make a firm dough. Make balls by gently rolling each portion between your palms into a smooth ball. Place the balls on a plate. Heat the oil on medium flame. 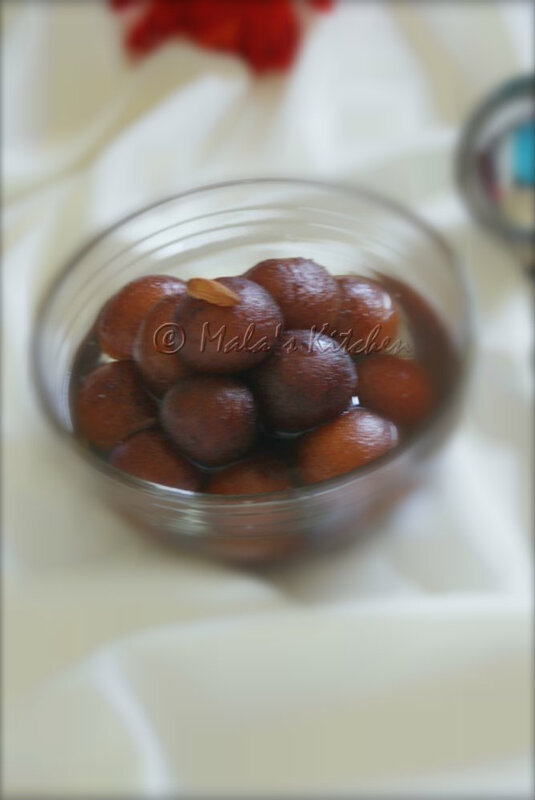 Test the temperature of the oil to put small portion of the ball . The balls must be fried very slowly under medium flame. This will ensure complete cooking from inside. Put 4 dumplings at a time. 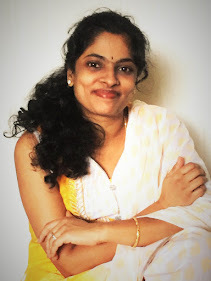 deep fry till golden brown color. Drain it. 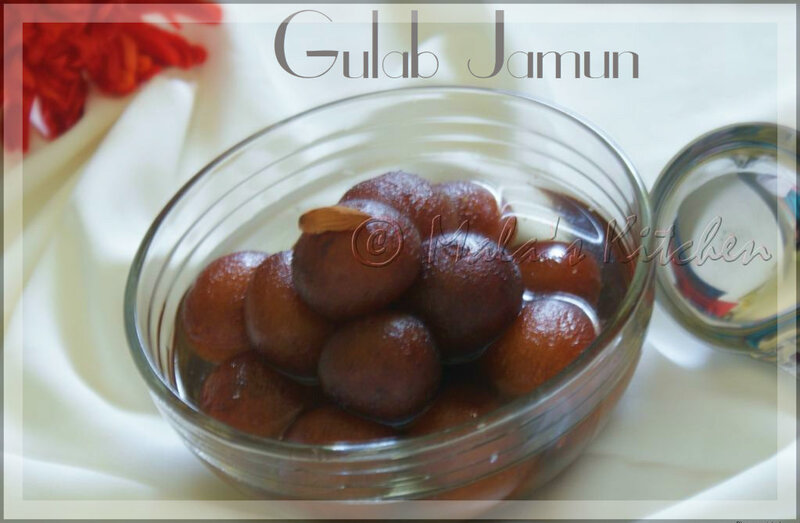 Super juicy and irresistible gulab jamuns, love it. I am drooling here. Its so yum.